Sometimes it's all in the texture. 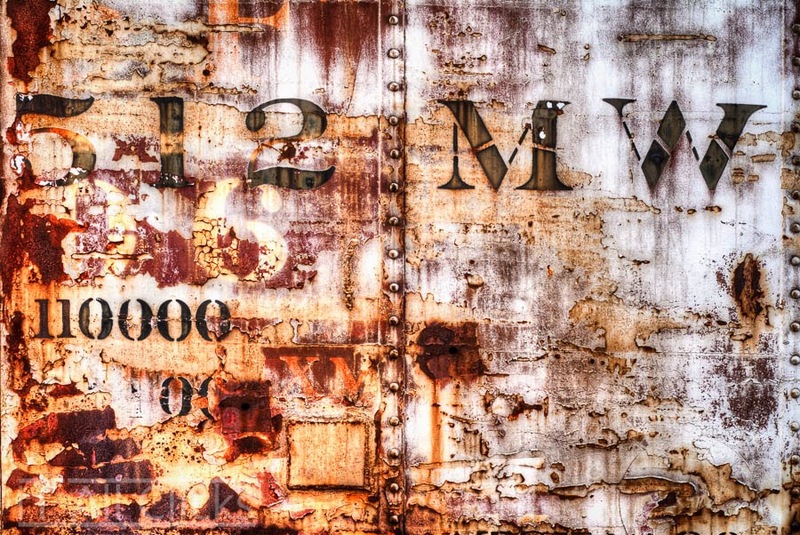 The peeling paint, rust patches and faded letters and numbers all combine to produce a slightly abstract but almost recognizable image. In case you're wondering, this is part of a railroad cart, slowly rusting away. It was captured at the Galveston railroad museum, where you can find an interesting collection of locomotives, carts, and other items from the golden days when trains roamed the countryside.